Films for packing and shipping your food products. As a global supplier of food grade films for baking, wrapping, and transporting products, we have all substrates in stock and ready for converting into diecuts, sheets, or rolls. Protect your food product in every phase on the process, and ensure your baked goods reach your customers in perfect condition. BOPP Film is a bi-axially oriented polypropylene (BOPP). This material has good clarity, resistance to UV light, excellent chemical and abrasion resistance, and a smooth surface. The clear material has a reasonable scuff resistance and a great acid resistance. Our material is also inert to most mild chemicals and has a fair heat resistant allowing for heat sealable BOPP films. This material is softer and more flexible than polyester. We have the BOPP film for you, no matter what your application. There are over 1,000 variants of BOPP films. Our films include many types of coatings, such as silicone, adhesive, pre-mask, corona, print treatments, clear or matte etc. 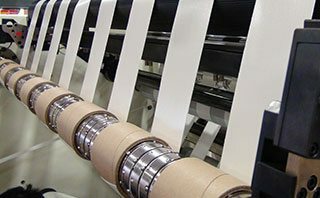 BOPP film has a wide range of applications including but not limited to products for the metallizing, packaging, stationery, tape and label, as well as decorative markets. Here is a small list of some of the different types of BOPP Film Supply we we carry, laminated BOPP film, industrial BOPP film, metallized BOPP film, co-extruded BOPP film, tape BOPP film, label BOPP film, packaging BOPP film, stationery BOPP film, and decorative BOPP film. "Biaxially Oriented" tell you that the polypropylene film has been stretched in both the machine direction (MD) and across machine direction (AMD). Superior strength at low gauges (allows for high speed processing), flatness, clarity and printability, are just a few of the reasons BOPP film has become the most rapidly implemented film product across the world. The table below lists only a few grades we have available so be sure to contact a representative today so they can tailor a BOPP film product to suit your particular need. The BOPP market continues to grow. Newer solutions help us create more demanding films, that have become lighter, stronger, and better suited for printing. With continued research and development, BOPP has potential to replace everyday wood based paper with synthetic paper. Also you may find our handy BOPP Conversion Table useful, and OPP Film and Polypropylene Film - PP Film helpful. The scrutinizing gaze of shoppers is easily captured by the luxurious shine of metallized films. Much more than visually appealing, metallized films are durable, flexible, with good printability, and are naturally food-safe. Imparting a modern and high-quality design, metallized films are some of the most trusted and popular materials across many industries. This material is created by vaporizing aluminum into deposits on film. This allows the material to be up to 100x thinner than aluminum foil, as well as flexible and weightless as paper. Metallized films make excellent vapor/heat barriers and insulators, making them ideal for a wide variety of applications. Metallized films are available in a wide variety of formats, sizes and thicknesses. We do custom orders as well. Please contact a representative today so they can tailor a Metallized Film product to suit your particular need. Perhaps a Metallized Paper would be better for your needs? OPP, oriented-polypropylene, films are a material with unique strength, thinness, density confirmation transparency, and gloss. It also has excellent moisture proof properties which allows for clear printing using normal inks. This can be used in packaging food, textile products, pharmaceuticals, and miscellaneous goods. Our films include many types of coatings, such as silicone, adhesive, pre-mask, corona, print treatments etc. for labels, printing, and flexible packaging purposes. Please contact a representative today so they can tailor a OPP film product to suit your particular need. Or find out more about Polypropylene Film - PP Films or BOPP Film. Our PET (polyester) film has high temperature and excellent barrier properties. It is used as a substrate for laminating and extrusion coating. PET film is used in flexible packaging of products. PET exhibits outstanding dimensional and thermal stability and excellent tensile strength. However, these same properties also contribute to poor stress-flex resistance and the potential to pinhole. Polyethylene terephthalate, PET, is rarely used unsupported in the paper and film industry and is normally laminated to a polyolefin sealant web for heat seal-ability and improved stress-flex, pinhole, and dart-tear resistance. Our films include many types of coatings, such as silicone, adhesive, pre-mask, corona, print treatments, etc. for labels, printing, and protective purposes. Of course we also offer untreated super clear polyester film. Please contact a representative today so they can tailor a PET film product to suit your particular need. Our polyester film contains properties such as high strength, easy machine-ability, dimensional stability, surface treat-ability, clarity, tear resistance, moisture resistance, etc. Polyester film is used in many types of packaging applications ranging from food and drugs to industrial and consumer goods. Vinyl coated polyester and other coatings make PET film a versatile product. Many refer to this material as Mylar. Mylar is the DuPont trademark for polyethylene terephtalate (polyester) film. Which is also referred to as PET film. As a plain, metallized polyester, or colored our nylon polyester film is formable, heat-shrinkable and/or coated for barrier, metal adhesion, laminating adhesion, extrusion coating adhesion, printing, or sealing. Polyester Urethane Laminate, PUL, offers greater toughness and is biodegradable by exposing to conditions of high humidity. 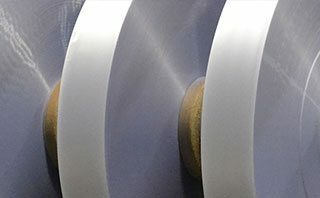 The combination of physical, thermal and optical properties of Polyester Film and Plastic Sheet allow this film to be used in a variety of applications, in a wide range of industries. We can also produce Biaxially-oriented polyethylene terephthalate, BOPET. BOPET is suited more towards high demand applications, such as solar panel arrays, medical, and food packaging. Please contact a representative today so they can tailor a polyester film product to suit your particular need. Our polypropylene film material is most often a clear or matte bi-axially oriented polypropylene or mono-axial oriented polypropylene. Polypropylene is a thermoplastic polymer from the monomer propylene, which has good clarity, resistance to UV light, excellent chemical and abrasion resistance, and a smooth surface. The clear material has a reasonable scuff resistance and a great acid resistance. Our material is also inert to most mild chemicals and has a fair heat resistance. Our polypropylene films are softer and more flexible than polyester. Our films include many types of coatings, such as silicone, adhesive, pre-mask, corona, print treatments, etc. for labels, printing, and protective purposes. As with most of our materials we can also produce polypropylene to your specifications. Most polypropylene has a melting point of 320 degrees Fahrenheit. For more specific variants we also produce BOPP Film and OPP Film. Please contact a representative today so they can tailor a polypropylene film product to suit your particular need. Our PVC Film or polyvinyl chloride film is a common type of shrink film although it has been in use in various industries for many years. Its characteristics can range from highly transparent to a matte finish. PVC is a polymer of vinyl chloride. Resins of polyvinyl chloride are hard, but with the addition of plasticizers a flexible, elastic plastic can be made. This plastic has found extensive use as an electrical insulator for wires and cables. Cloth and paper can be coated with the PVC to produce fabrics that may be used for upholstery materials and raincoats. The PVC can also be coated with materials such as nylon, the combinations of possible coating applications are endless. Its great for durability in outdoor signage. PVC has been redesigning production processes since its introduction. Our films include many types of coatings, such as silicone, adhesive, pre-mask, corona, print treatments, etc. for labels, printing, and protective purposes. Please contact a representative today so they can tailor a PVC film product to suit your particular need. Our Shrink film is printable with very high clarity and gloss. This material has extremely high shrink properties. It has an added advantage of having little seal puckering upon sealing which makes it an excellent choice for flow-wrapping. Our silicone release Film can be manufactured with one or two sides coated with a solvent-less silicone polymer. Silicone Release Film is a more of a general term that can be used to identify hundreds of different types of silicone coated materials. BOPP Film & OPP Film, PP Film, HDPE Film, MDPE, & LDPE Film, PE Film, PET Film, PMMA Film, just to name a few. Our Silicone Release Film can be used in a great number of applications. Uses vary from self-adhesive labels to construction products, even protecting fine works of art. Silicone Coated Film can withstand heat applications without damaging or sticking to other materials. Depending on your application you could get multiple uses out of the same separator sheet. Our silicone release Film can be cut into rolls, sheets, circles, or die-cut shapes. Please contact a representative today so they can tailor a Silicone Release Film product to suit your particular need. Perhaps you could use a Silicone Release Paper instead? Check out our complete line of Release Separators. As a global supplier of release liners for all adhesive, rubber, electronic, circuit, and sealant related products we utilize the latest technology in coating and converting to meet your demand. 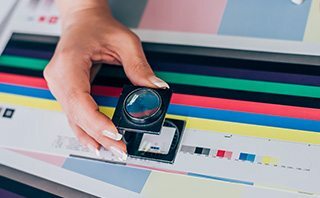 As a global supplier of the latest film-based substrates whether in sheet form, roll-fed, encad, or even a desktop product, we cut to size and produce to order. As a global supplier of all grades of packaging and industrial products we turn raw materials into functional and economic products. Custom create your own product or buy off the shelf: diecuts, sheets, rolls, and laminates.